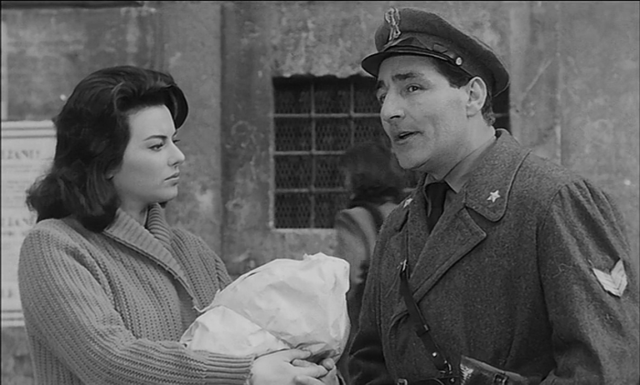 In keeping with his previous film Il generale Della Rovere, filmmaker Roberto Rossellini pursues a wartime theme in this “personal epic” Era notte a Roma. 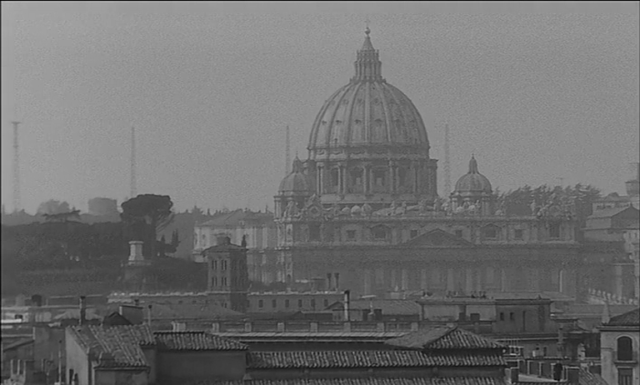 The film is set in Rome during the German occupation after the armistice on 8 September 1943. 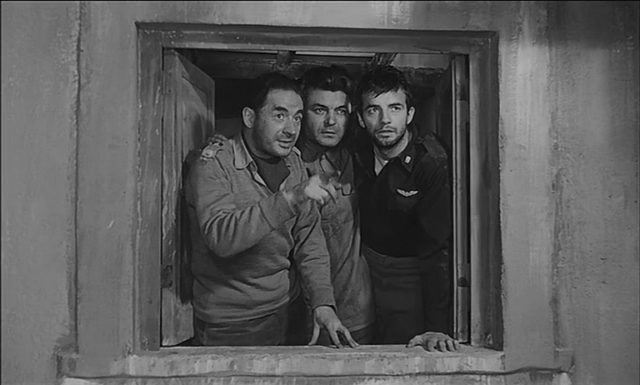 The story concerns three Allied POWS, who escape from their camp and hide out in Rome. 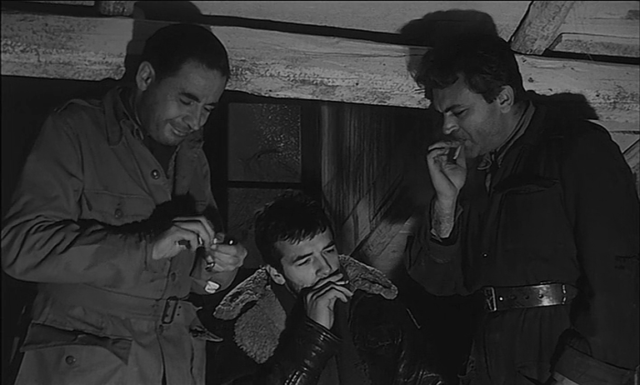 The trio is given shelter and aid by a beautiful young woman who deals with black market disguised as a nun, her partisan boyfriend and several other people. 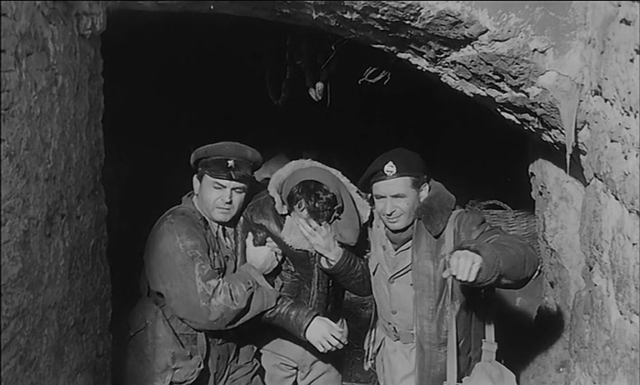 The three prisoners (one is Russian, one English, one American) display a genuine warmth towards each other that probably is meant to reflect the three countries’ joint effort against Nazi Germany. Just as the variety of Italians involved in their protection as well as in their pursuit seems to be meant to reflect the chaos and mistrust reigning in those dark days. Acts of courage alternate with acts of treachery. For reasons that remain obscure, Era Notte a Roma was never initially given a widespread American release. 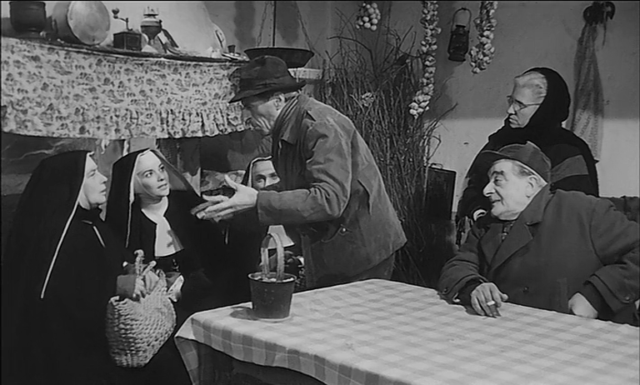 With regard to the Resistance, while the Communist-inspired press criticized the film’s “clerical-centric” vision, Morandini wrote that Rossellini had shown in the film the truly popular participation to the Resistance. As a technical note, Rossellini adopted the Pancinor, a photographic lens of variable focal length, which would be later called zoom, which allowed him to move around and make long-lasting sequences where previously he would have made cuts, thus catching the actors’ expressions and minimizing editing. Not in any circumstances to be missed – a full-length print of an overlooked Rossellini that was often cut by half an hour for commercial release, and now looks like true buried treasure. 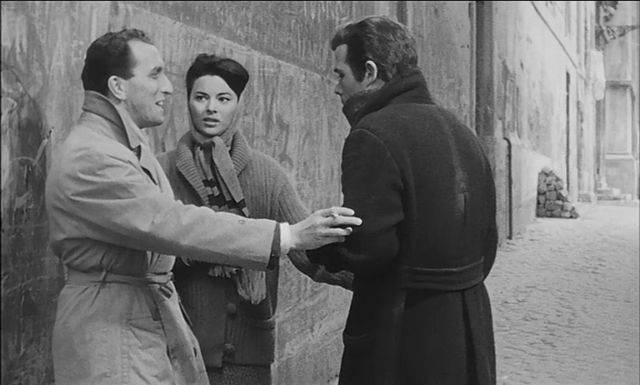 (Godard chose it as one of the ten best of 1961, along with Rocco e i suoi fratelli). 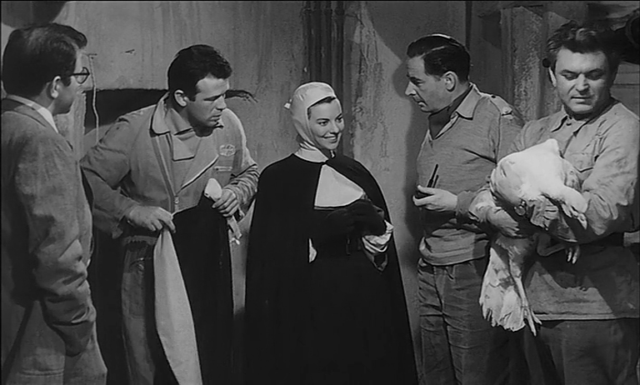 Opening as a kind of comedy in which women disguise themselves as nuns to win advantage in the wartime black market (watch for the recently late Laura Betti as one of the conniving “sisters”), ERA NOTTE A ROMA soon focuses on the dilemma of Esperia, a beautiful young woman impelled to hide three POWs in her attic: an English major, a Soviet sergeant (played by Sergei Bondarchuk), and an American pilot. 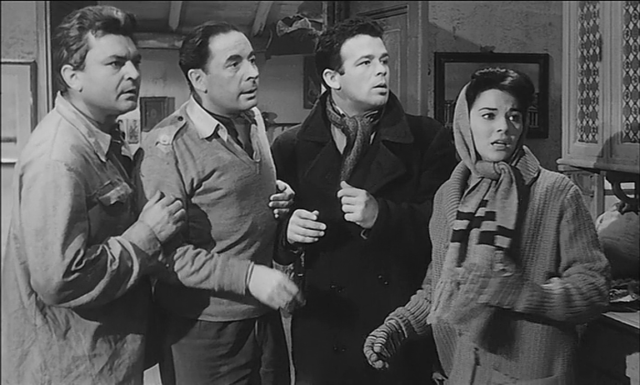 The relationship between the Allied fugitives and their fearful, reluctant hostess, and between her and her communist lover (the wonderful Renato Salvatori from Rocco e i suoi fratelli) gradually expands from the cramped quarters of their hideout to the rest of Rome, under siege by the Germans late in the war, and incorporates many vividly drawn characters, high and low – priests, doctors, Resistance fighters, an aristocratic Roman family whose American matriarch adores Mussolini, a defrocked priest who acts as German informer and whose physical disability Rossellini uses to signal moral infirmity. 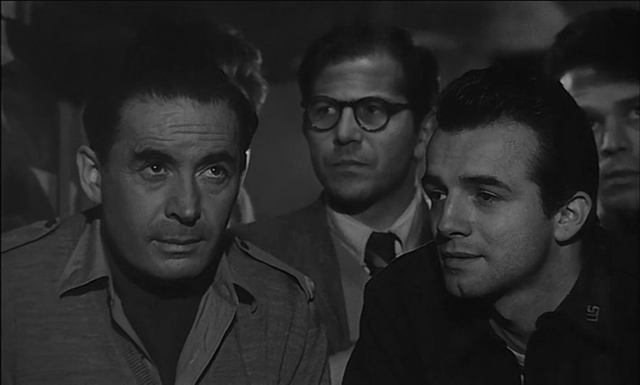 Suspenseful, compelling, and very stirring, ERA NOTTE A ROMA is also one of Rossellini’s most explicitly Christian films. (A make-do Christmas dinner in the attic certainly counts among his most heartfelt expressions of charity and solidarity). Returning to the setting and themes of Roma città aperta and Paisà, ERA NOTTE A ROMA seems like a surprising reversion for Rossellini after his radical films of the Fifties – never mind compared to its contemporaries, La dolce vita and L’avventura! – but is so rich in character, atmosphere, incident, and artistry that the “professionalism” of Rossellini’s approach seems more pleasantly retro than reactionary. 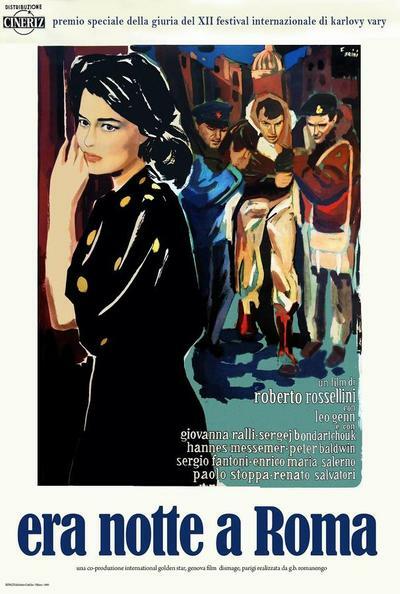 “ERA NOTTE A ROMA is perhaps Rossellini’s greatest war-themed film… Motifs common to Rossellini’s other war films (moral fortitude and religiosity in Roma città aperta; language and communication in Paisà; innocence and guilt in Deutschland im Jahre Null; courage in Il generale Della Rovere) all are found here” (Eric Sherman). Net reference to Roma città aperta, also emphasized by the title, as if to point out the voluntary opposition between the two. 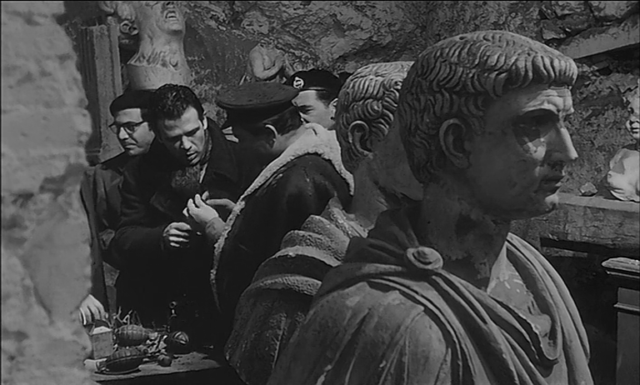 Era Notte a Roma takes place completely in the dark, except for some scenes, while the film mentioned above takes place in daylight. 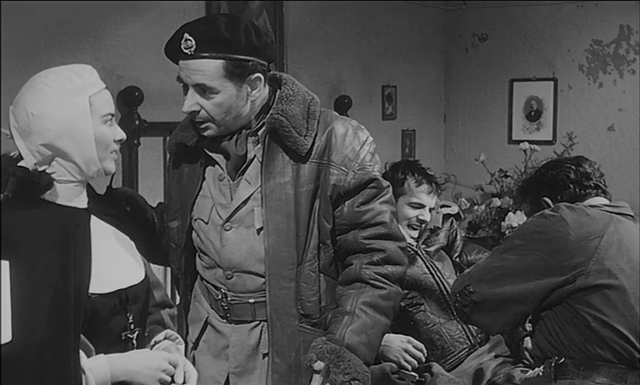 This is as if Rossellini wanted to show his increasing pessimism in the face of the conditions in Italy, and the hopes of the postwar years, which had later vanished. The above statement is irrefutable by revisiting the historical events, that is, the fact that the arrival of the allies in the capital is proposed at night, despite the fact that this happened in broad daylight. 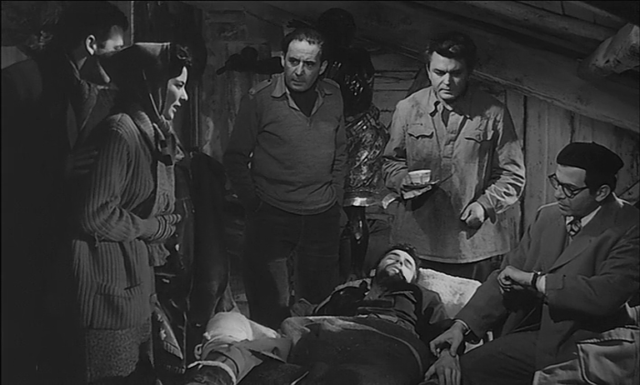 Esperia is the female lead at the core of the film, and her character is no longer honest, as the one portrayed by Anna Magnani, but she uses subterfuge, betrayal and duplicity. Despite this, her feelings are authentic, and the proof is that the director does not emphasize such negative tones, trying to show the more positive aspects of the woman. Fortuitous events will ensure that Esperia, almost forcibly, accommodates in her home three prisoners escaped from the camp. The first moments of suspicion and fear by the woman, will give way to signs of solidarity, cooperation and friendship, as effects of a war that divides, but at the same time unites those who are in trouble, even with different customs, ideas and cultures. This element is often emphasized by the difficulty of understanding among the various characters.